ALL OUR LIVES are built upon a single major cycle: the cycle of activity and rest. It’s the cycle of day and night, dark and light, yang and yin, equilibrium and momentum. A time to give and a time to receive. When this cycle gets out of balance — when we’ve been working too hard or been idle for too long — unhappiness is the result. But we don’t live in a world which supports such a cycle. Instead, our email and mobile phones keep us always busy, always on call, always tethered to the life of activity. Even when we’re supposed to be resting our minds are constantly on the go: it’s so easy to keep thinking about a project or to start flipping through social media. Our lives are exceptionally unstable. A Passionate Calm is a blog about bringing the two halves of our lives back into a single wholeness. 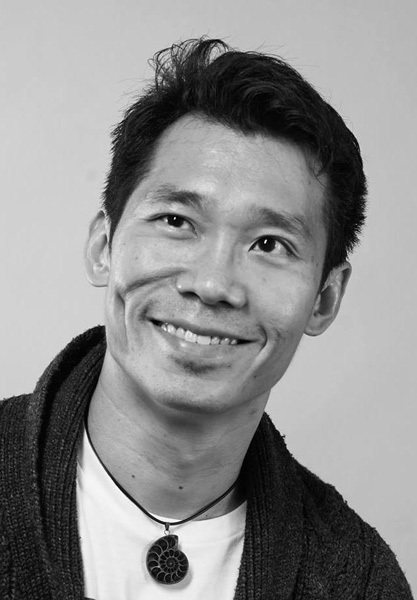 LEONARD NG is a copywriter and poet from Singapore. He is the founder and head of the copywriting agency Text/ure Collective. He is the author of the poetry collections This Mortal World and Changes and Chances, the former shortlisted for the 2012 Singapore Literature Prize. He is also the translator of several classical Chinese works into English, including the Tao Te Ching, The Art of War, The Complete Poems of Yu Xuanji, and Lu Ji’s Rhapsody on Literature. In addition to his own books, his work has appeared in the journals Asymptote, Ceriph, Kitaab, and Quarterly Literary Review Singapore, as well as in the anthologies Love Gathers All, Coast, From Walden to Woodlands, Union, and This Is Not a Safety Barrier. Leonard studied English Literature and Sociology at the National University of Singapore, graduating with First Class Honours as backup valedictorian. In addition, he holds a Postgraduate Diploma in Education from the National Institute of Education at Nanyang Technological University. Leonard also occasionally tutors students in English Literature and General Paper for the GCE ‘A’-Level examinations and the International Baccalaureate Diploma. In his spare time he meditates, watches birds, practices urban exploration, and drinks Japanese green tea.